Hair transplants are a popular hair treatment method, but they’re also one of the most expensive. In this article, I’m going to discuss the cost of transplants (including the factors that contribute, such as location and method). I’ll also highlight some of the more general transplant information (such as who qualifies and the risks involved). In addition, I’ll share with you three less expensive methods that you may find more appealing. Simply put, a hair transplant is a surgical procedure that involves the removal of hair from one area of the scalp (the donor site) and transplantation onto another (the recipient site). This is performed by a hair restoration surgeon, and it’s one of the most well-known hair loss “cures” on the market. Of course, a hair transplant isn’t actually a cure. 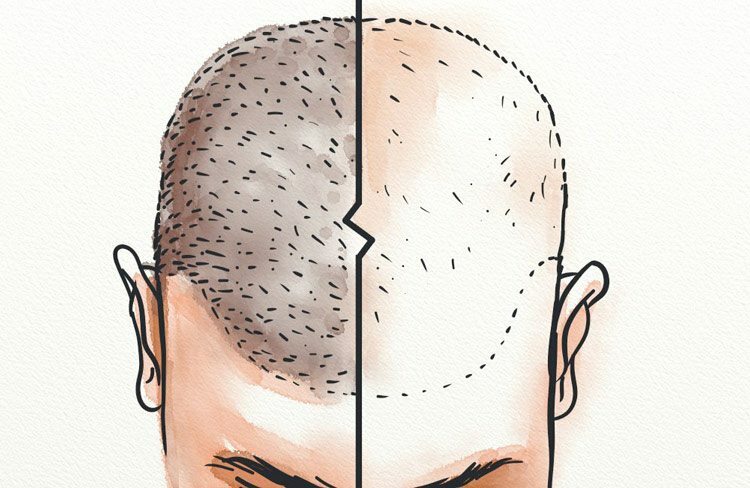 Instead, it’s a technique that aims to reduce the appearance of balding and reactive hair growth. However, reactivation isn’t always possible, and it’s best to go into the procedure with this in mind. 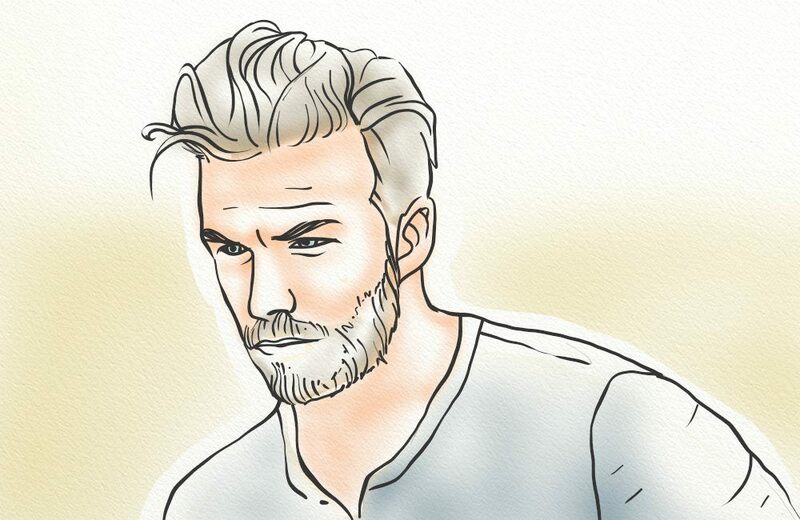 What Are the Types of Hair Transplant Methods? While FUT and FUE are the most commonly used methods today (more on that below), there are other methods (though outdated) that may be available. With the use of 4mm ‘punch’, a cylinder of hair-bearing skin is removed from the donor site. This cylinder typically contains 12 – 30 individual strands of hair, and it was placed into the recipient site. The punch graft was the most popular method of transplantation for over 20 years. However, it did have an unnatural and ‘pluggy’ look. This is where the term ‘hair plug’ originates. It’s safe to say that the majority of surgeons no longer use this method. Mini and micro are transplant methods that involve the removal of thin strips of hair-bearing skin from the donor site. The area is then stitched, and this leaves a thin scar. To transplant, a scalpel is used to make small slits in the recipient area. The graft is then placed. As you might imagine, this is also a bit of an unnatural look. Additionally, the long scar can be a deterrent for many. As such, both mini and micro grafts are rare in transplantation (though, they may still be used for particular cases). Follicular Unit Transplantation (FUT) is a more modern method of hair transplant, though it is related to the mini/micro methods. In this method, a strip of hair (from 1.5cm to 30cm in length) is removed from the donor area. The site is then sutured or glued. Next, the strip is placed under a microscope. The surgeon then works to extract individual follicular units from the graft, and these individual units are then placed in the recipient area. Unlike mini/micro grafts, slits are not necessary in the recipient area. Instead, small punctures are made where the individual grafts will be placed. Alongside FUT, Follicular Unit Extraction (FUE) is another modern hair transplant method. However, FUE offers many more benefits (including minimized scarring and quicker recovery). With FUE, the units of hair are placed within the recipient area just as they are in FUT. 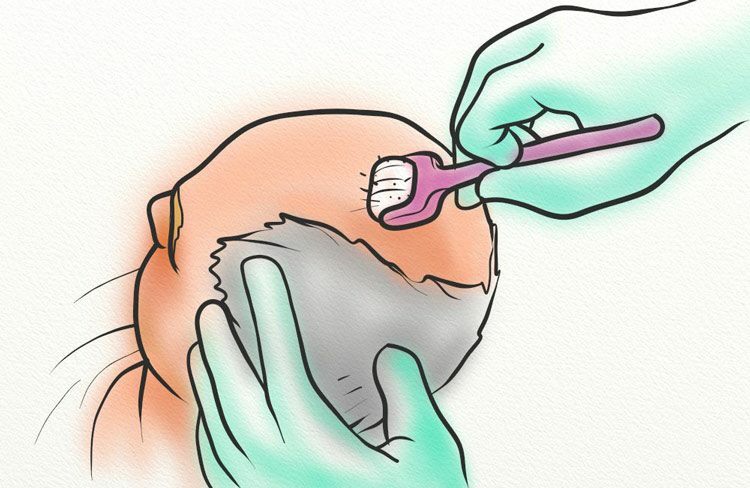 However, instead of removing a strip of hair-bearing skin, the follicular units are removed one by one. This takes considerable time (which means it costs the most), but it also delivers the most natural results. Candidacy for hair transplant will depend on the surgeon. However, there are some general candidacy guidelines to give you an idea of who qualifies. While hair loss caused by MPB does begin to become noticeable during Norwood 2, many surgeons will only perform a transplant on patients diagnosed with Norwood 3 and above. 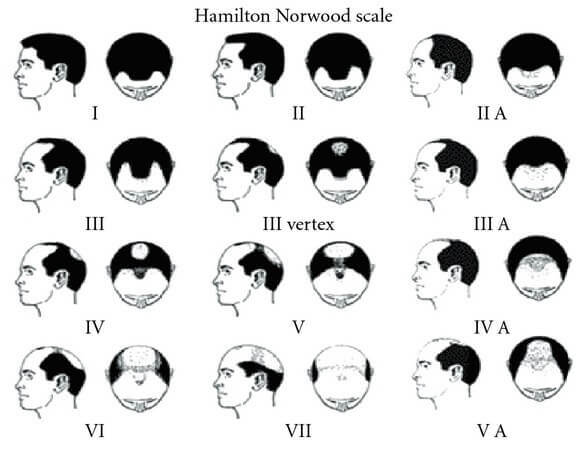 In addition to a Norwood 3 diagnosis, hair transplants are best performed on men with stable hair loss. But what does this mean? 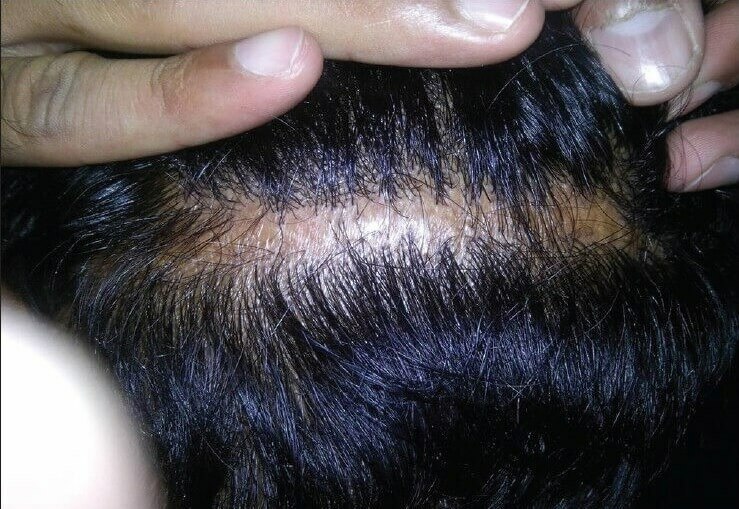 Hairline recession and thinning caused by MPB is caused by the hormone DHT. As DHT wreaks havoc on the hair follicles, hair loss will continue to occur. However, when you’ve finally got DHT under control, it can be classified as ‘stable’. All this means is that further balding is very unlikely, or that it has slowed so significantly that gradual changes take place over a few years (instead of a few months). The less likely future hair loss is to occur, the more likely that you’ll have success with the transplant. Not all hair loss is caused by MPB. However, even some forms of non-MPB hair loss can be treated with a transplant. One such form is trauma related, and it can occur as a result of burns, scars, or other physical traumas. Men and women with trauma-related hair thinning and balding may be good candidates for hair transplant, assuming their injuries have fully healed. As a surgical procedure, hair transplants come with a number of risks. In addition, patients may experience side effects (some permanent) as a result of the transplant. Other risks associated with the procedure include raised scar (8.22%), hiccups (4.11%), skin texture change (2.74%), itching (1.37%), and excessive bleeding (1.37%). Keep in mind, costs will vary. However, we can get a general idea by looking to real transplant patients for their own experience. Of course, keep in mind that these are only patient-submitted costs. This means that your costs won’t necessarily fall within the range of your area. To get the best idea of cost, we recommend you consult with at least three hair restoration surgeons in your area. Why Do the Costs Vary? The cost of a transplant will depend on many factors, including geographic location, surgeon, and the level of balding. As most procedures are performed ‘by the graft’, the more severe your hair loss, the more costly. While the cost of a transplant may seem expensive, you have to consider the complexity of the procedure. Transplantation methods are becoming more advanced, and this is great for results. However, the more advanced techniques (including Follicular unit transplantation (FUT) and Follicular unit extraction (FUE)) take a lot more time and expertise. In fact, FUT can take anywhere from 5 – 7 hours for one session! And, longer times (as well as more sessions) can be expected for FUE. The answer to this question is, “it depends”. For many sufferers of thinning and recession, a hair transplant can provide them with confidence and higher self-esteem. However, there are risks associated with the procedure that may not be worth it to you. A good surgeon will help you to weigh the risks and benefits, and determine if the procedure is right for you. In addition, a consultation with a good surgeon will help you to know your odds of success with the procedure. Are There Less Expensive Treatment Options? Unfortunately, the costs of a transplant may not be within your reach. So, what other options do you have at your disposal? Low-Light Laser Therapy (LLLT) is an experimental treatment that uses lasers to target areas of hair shedding. This procedure can be performed by a dermatologist in-office, or at home with laser combs or helmets. These results are believed to be caused by the lasers interaction with the hair follicles’ cells and (maybe) stimulation of the mitochondria. Depending on whether you plan to seek out professional treatment, or perform LLLT at home, costs will vary wildly. 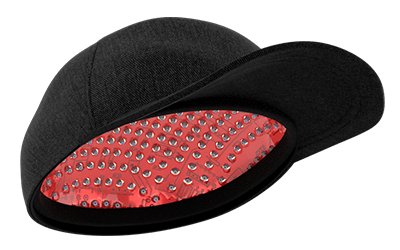 The cost of an LLLT comb or helmet typically ranges from $200 – $1,000. You can likely find ones for less, but of course you do get what you pay for. In-office procedure costs will vary as well. For most, LLLT is an on-going treatment that’s completed over a number of sessions. As such, your costs can range from the mid-hundreds to a few thousand. While injuring the scalp may seem counterintuitive to hair growth, the process actually stimulates the production of collagen, as well as new skin cells. These new cells can then generate healthy new hair strands. As with LLLT, microneedling can be performed at home or in-office. This means the cost will vary widely. One of the cheapest microneedling tools, the dermaroller, can be purchased for about $25. However, more advanced tools (including the dermastamp and dermapen) can cost anywhere from $30 to a few hundred. In-office microneedling can cost anywhere from a few hundred to a few thousand. These treatments will take place over a few sessions, and you may also be instructed to continue at home. Just like LLLT, Platelet-Rich Plasma (PRP) therapy is still in its earlier stages of uses. However, recent scientific studies have shown it to be a promising option for people with significant shedding and thinning. PRP involves the removal of blood from a patient’s body. The blood is then separated (using a centrifuge) into plasma and red blood cells. The plasma is extracted, and then injected directly into areas of hair loss. Plasma is a blood product that contains numerous growth factors. These include Platelet-Derived Growth Factor (PDGF), Epidermal Growth Factor (EGF), and Insulin-Like Growth Factor (IGF). These growth factors induce the proliferation of dermal papilla cells, which means more hair can then be produced in the area. 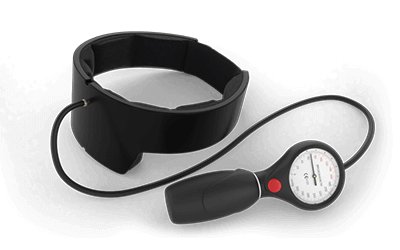 PRP – the only option in our alternatives list that cannot be performed at home – is also one of the more expensive options. However, it’s very likely that the cost of PRP will still be lower than that of a hair transplant. According to real PRP patients on RealSelf, the average cost across all locations is $1,725 (ranging from $350 – $3,100). However, with a ‘worth it’ rating of 74%, it may be something you want to consider. If a hair transplant is your treatment of choice, keep in mind that costs will vary. However, it is the most expensive option on the market, and you may find that the costs don’t justify the benefits. Of course, there are many others methods to choose from, including both the three alternatives mentioned above and more natural methods. The choice you make is entirely personal, and it will depend on the severity of your hair loss and your goals. Would you like to learn more about the treatment options available? 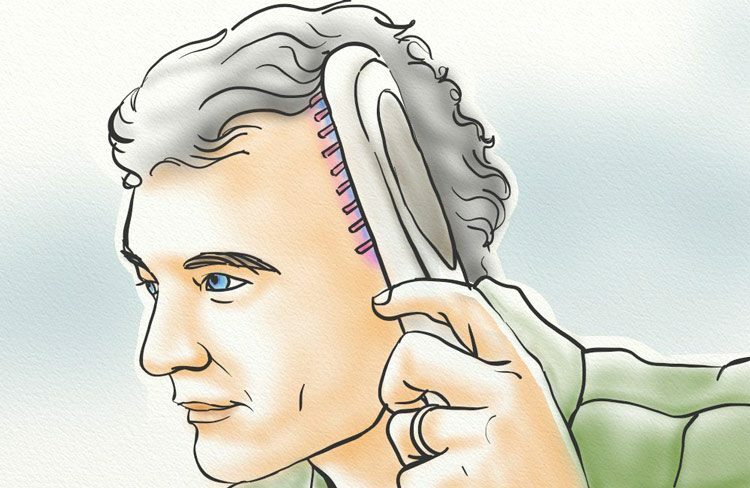 Also, I would recommend reading our guide to hairline restoration if you have early-stage hair loss.